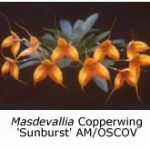 You don’t always have to follow the rules to get good results with fertilisers, as we have discovered with our odontoglossums and masdevallias at Mount Beenak Orchids. 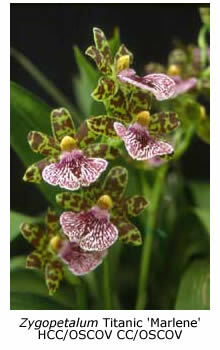 Growing orchids in Sphagnum moss has always presented a problem when it comes to the application of fertilisers. Most liquid fertilisers, applied at % strength, don’t present a problem, provided you do it on a weekly basis – easier said than done! However, slow release fertiliser, such as Osmocote®, when applied to the top of the pot, causes moss breakdown and green slime. 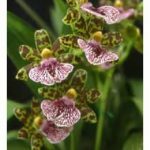 Because the moss remains wet for so long, it retains so much nutrient released by the fertiliser that it fails to achieve the desired results – most orchids, especially the fine-rooted epiphytes, such as odontoglossums, oncidiums and masdevallias, need only small amounts of fertiliser. One day, while re-potting about a hundred zygopetalum seedlings in Sphagnum moss, it occurred to me to put the slow-release fertiliser in the bottom of the pot, rather than on the top. After covering the drainage holes with some hammer-milled moss, I added a few grains of 8-9 month Osmocote Plus® to half the plants. The remainder received only % strength Manutec® liquid fertiliser once each week. In about four weeks the foliage of the Osmocote-fed plants was definitely greener than that of the others. After eight weeks the plants were not only greener but also taller and more robust. After twelve weeks they were nearly double the size of their deprived mates and also stronger and greener. The root systems were examined in both groups. While both groups had white, strong and healthy roots, those in the Osmocote-fed group had Osmocote pellets adhering to their roots, yet no signs of burning or deterioration in any way. As this experiment had worked so well, I decided to repeat it using some odontoglossum alliance and masdevallia seedlings. Both of these groups of orchids tend to lose their roots if over-fed, and I have previously found that slow-release fertilisers are unsuitable, even using bark-based potting media. Enough mix (hammer-milled moss (80%) and polystyrene chips (20%)) was first placed in 50 mm tubes to cover the drainage holes and then a little Osmocote slow-release fertiliser was added, as before. Next, single-growth odontoglossum alliance seedlings and masdevallias of 3-4 leaves (both about six months old) were planted in the tubes, using the same mix. 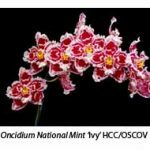 Similar results to those obtained with the zygopetalums were obtained, although (as expected) growth was not as pronounced with these generally less vigorous plant groups. When the plants were nearly a year old, we changed their potting mix to a fine bark (Bio Gro Mini Nuggets), in this case also adding Osmocote to the bottom of the pots. Excellent results were again obtained, the Osmocote-fed plants being well advanced over the control group. 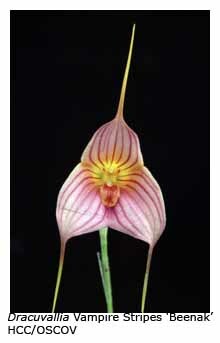 Many of the masdevallias had begun to flower – indeed, some had even flowered while in their original 50 mm tubes! It seems important to use 8-9 month release Osmocote, because we lost a few plants when we used 5-6 month Osmocote, and the roots of those that survived didn’t appear to be as strong as the others. There are many different resin-coated fertilisers, but Osmocote is a good brand and widely available, so I have stuck with it. I use two types, each with a different N:P:K ratio. For young plants I recommend Osmocote-Plus, 8-9 month, 16 + 3.5 + 10 + 1.2, and for flowering-sized plants I use Osmocote-Plus, 8-9 months, High K 9 + 4.8 + 15 + Trace Elements. The latter may be hard to get but we have it for sale at our nursery. The rate of application is difficult to calculate for small pots. For 150 mm and larger pots, it’s OK to follow the directions on the container but they don’t mention little tubes or pots. I use a pinch (about 10 pellets) in 50 mm pots, a little more in 65 mm pots and two pinches in 80 mm pots – not a particularly precise measurement but the amount doesn’t seem to make a great deal of difference overall. I’ve been using the above system of fertilising now for two complete seasons, and have entered the third season with continuing positive results. Our plants are better than ever, with excellent leaf colour and good flowering. 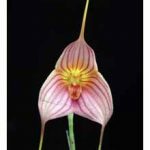 Our masdevallias now show much less leaf spotting and drop fewer leaves than before. 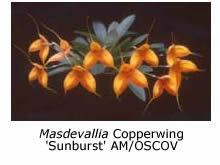 The odontoglossums show less leaf tip dieback, and have stronger spikes that produce more flowers. 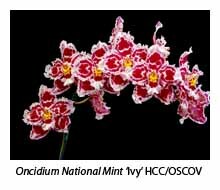 With flowering-sized cymbidiums and zygopetalums, we use High K Osmocote but add it to the top of the pot in the same way as we have for many years. We still use a liquid fertiliser (at % strength) during the warmer months, as well as a fish-based or seaweed-based fertiliser a few times each year because of the unique trace elements that these organic fertilisers contain. Just because the above system works for me doesn’t necessarily mean it will work as well for you. Try a few plants first, and see how they respond. If you’re happy with the results, try a few more – don’t treat them all unless and until you’re totally convinced that the system works well for you.